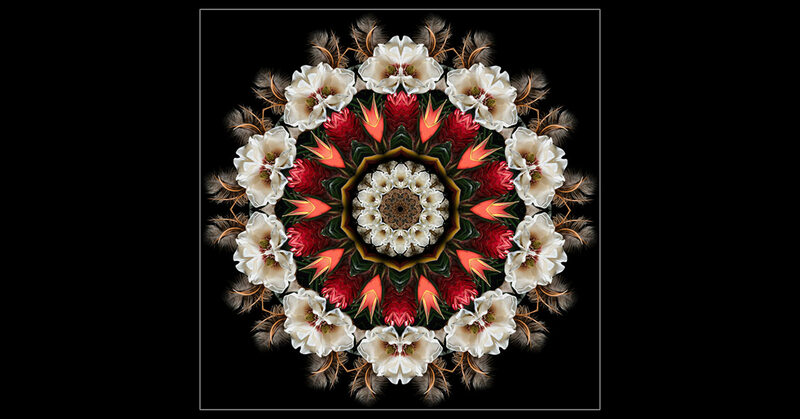 My first kaleidoscopic image was inspired by clients who’d already purchased two of my Smoke pieces for their home. They wanted a third image to display between the other two that would complement them and create a cohesive set of three. 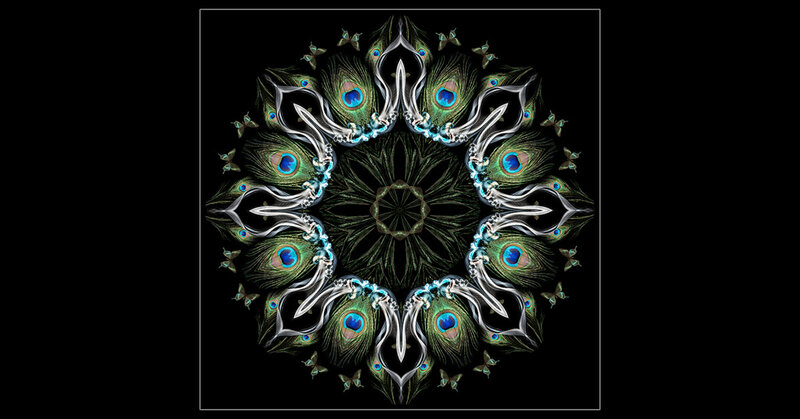 After much experimentation combining the two Smoke images by digitally cutting and pasting pieces of them together, I ultimately settled on a kaleidoscope-style combination which symmetrically merged the colors, shapes, and textures of the two images into one. 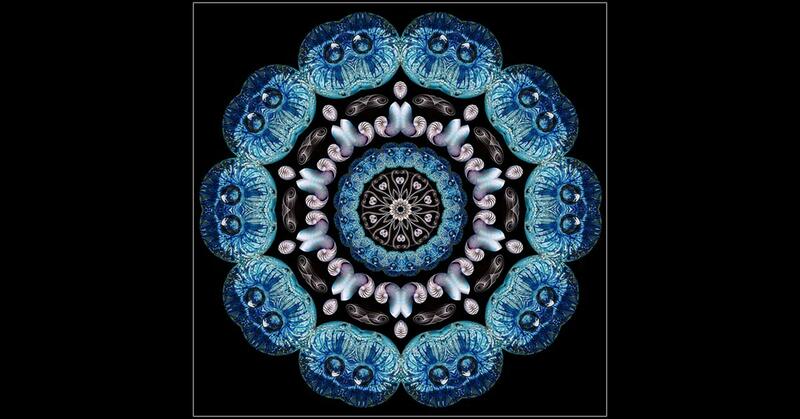 I’ve since made many kaleidoscopes by combining any number of images together.